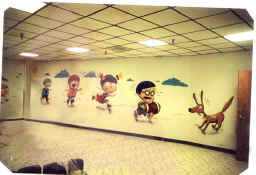 Above: BALLY Fitness, Humble TX, 50 Ft. wall graphics with airbrush accent. Gatica uses the airbrush to shape images and contour the characters and images for a unique 3-D feel. 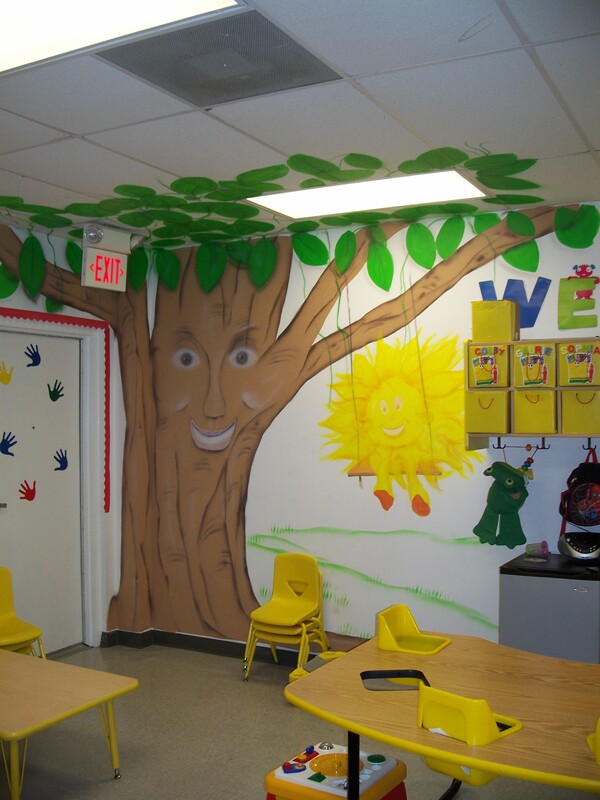 Above: A whimsical smiling tree, he is friendly and inviting along with his friend the smiling sun. 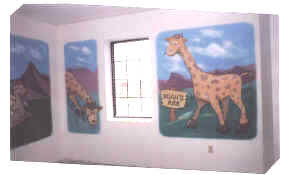 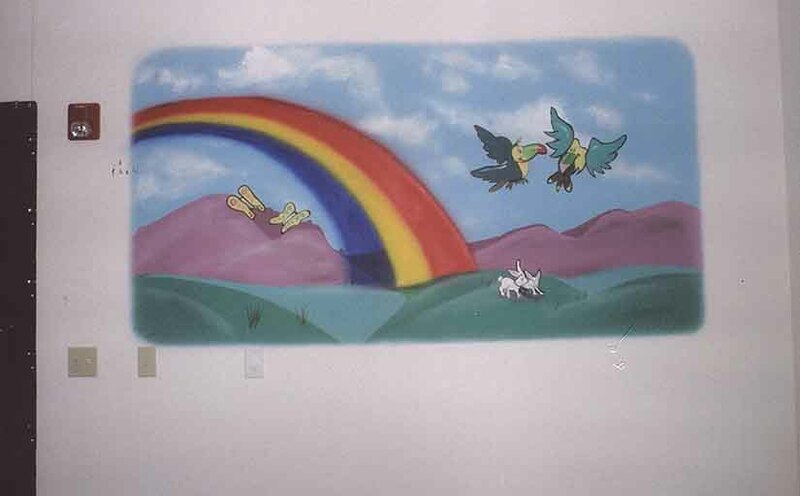 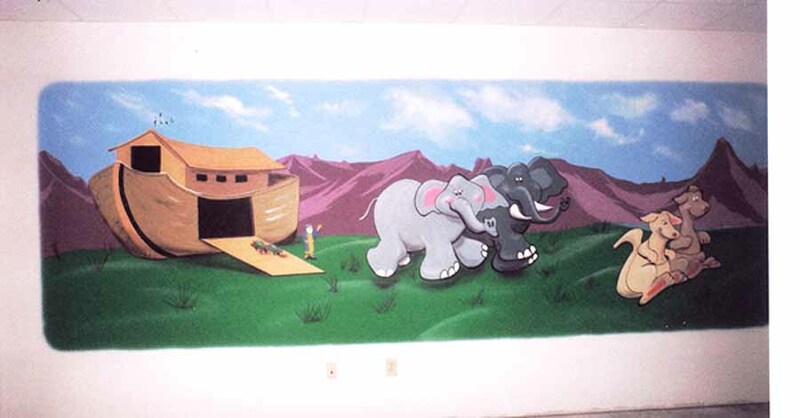 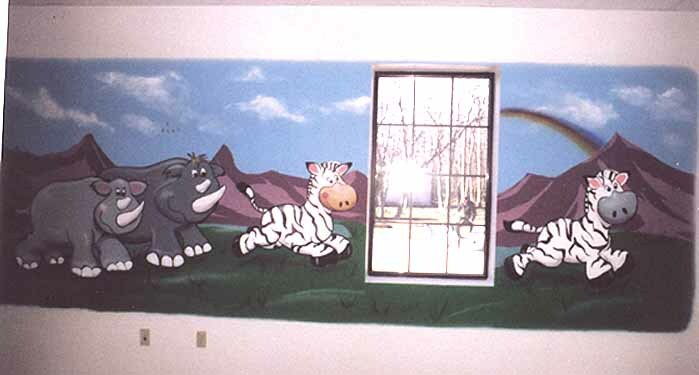 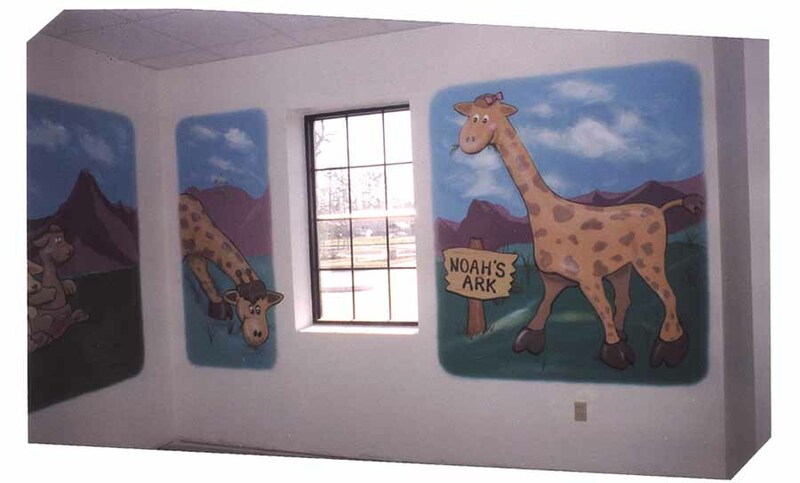 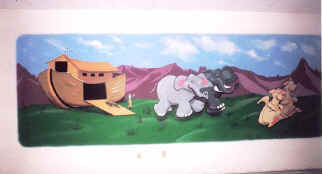 This is a part of the a series of paintings, mural for a child care nursery in Atascocita Tx.